Are we there yet? The Bug on the Bike isn't saying. He just started riding his bike one day and invited his friends -- from the athletic pickle to a surprisingly agile nickel -- to follow behind him. Nobody knows where they're headed, but it's a long, strange trip everyone is happy to take. 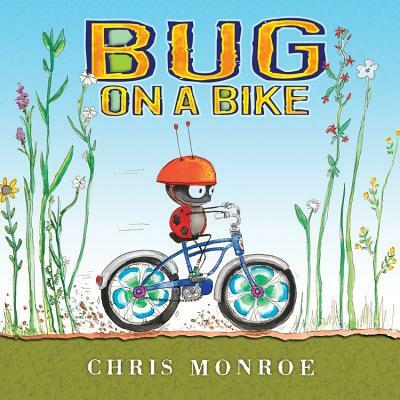 Chris Monroe, creator of the Monkey with a Tool Belt series, brings her characteristic love of silly details to this rhyming read-aloud romp.